Tree Cleanup Services - Grapple Trucks - Tree Service Express, Inc. Trees are often a big selling point to a home or property. After all, they are beautiful to look at, provide privacy, and even provide shade in the summertime. Unfortunately, not everyone understands how to maintain a tree in order to ensure its long-term health. Perhaps even more concerning, not everyone is able to tell when a tree is declining or experiencing some kind of issue that could render it unsafe to those around it. If you have trees on your property in Indian River and Brevard County, Florida, you should have professionals examine them regularly to make sure that they are in optimal condition. The skilled arborists at Tree Service Express, Inc., can help! We offer a wide array of tree-centric services designed to make the process as easy and quick as possible. We are able to do everything from examining a tree to determine its health to removing one from your property entirely, and everything in between. 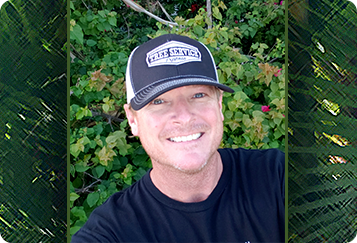 Tree Service Express, Inc., is your one-stop shop to all things tree related. When you hire our professional team of arborists, you're opting to receive the very best quality service around. Let's take a look at some of the services we offer our clients a bit more in-depth! We now have three large Grapple trucks! Grapple trucks have a special loader attached to their frames, like a long arm, that is able to rotate on an axis with a bucket or grapple at the end. This is especially convenient for hauling bulky waste, or collecting waste or debris that is impractical to containerize due to either size or weight. 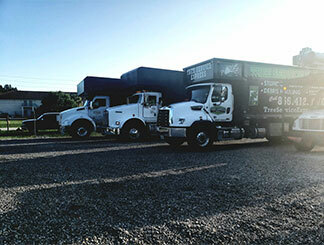 We have a 45 yard truck, 60 yard truck, and a 60 yard trailer combo that can handle any and all cleanup needs. Our grapple trucks are all self-loading, saving us time and you money! Let our team haul away your yard, storm, or construction debris, or pick up any mess with one of our self-loading grapple trucks! One of the most important services we make available to our customers is tree examinations. This isn't a service that necessarily comes to mind when you think about tree maintenance, but it's an important process to undergo. Trees can be affected by a wide array of things in their environment, and sometimes their health can decline relatively quickly. This isn't always apparent simply from looking at the tree, either, which means that you might have an ill tree in your yard without even realizing it. With our tree examination service, you can rest assured that if there is a problem with your tree, we'll find it! We're extremely thorough in our work because we understand the hazard that a failing tree poses to everything in its vicinity. If we do discover problems with the tree, we won't act without discussing various options with you. If the tree needs to be removed, well, that's another service that we're happy to provide. Mentioned briefly above, tree removal is another of our services. There are many reasons that a tree might need to come down. Note that this doesn't always mean that the tree is ill, nor does it mean that the entirety of the tree must come down. Sometimes, especially with particularly large trees, there are branches that grow far enough to become dangerous to a home or fence. If you have tree limbs that lean precariously over the roof of your bedroom, for example, or perhaps even above your car in the driveway, you should look into having them removed. Hanging limbs can often be removed without hurting the integrity of the tree in question or compromising its structural support. Don't put off calling for help because you're worried about having to remove the entire tree, in other words, because that's often not necessary. 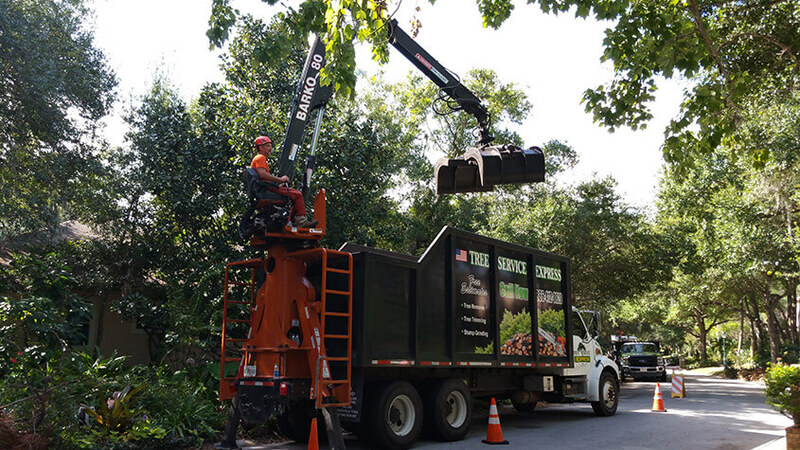 Tree Service Express, Inc., has taken on many jobs where only one or two limbs need to be trimmed or removed in order to ensure that safety to both home and person is maintained. With all of the above said, sometimes a tree does need to come down. When that happens, Tree Service Express, Inc., provides the service you need! We have experience safely taking down all manner of trees, and we do so as quickly and efficiently as possible while still maintaining the highest degree of safety and precaution possible. In addition to examining trees to ensure their health and removing whole or parts of trees that are no longer safe, the experts at Tree Service Express, Inc., also offer a number of tree maintenance and cleanup services. This is another set of services that many people don't realize they need. It is important to the health and safety of your tree that it be trimmed, pruned, and any extraneous bits removed regularly. This allows the tree to grow properly and also helps to keep your property free from dangerous debris. Storms in this part of the country are not a rarity, and they can really wreak havoc with the trees on your property. This especially true during hurricane season, when the winds pick up and anything not firmly attached to the tree is inevitably shaken off. In fact, you might be very familiar with the feeling of dismay that overwhelms you when you open the door to your yard after a storm and see all of the wreckage and fallen limbs from your trees splayed across the ground. If you have ever looked at the aftermath of a storm and wished that there was a magic wand you could wave to make it all disappear, you're in luck - the professionals at Tree Service, Inc., can put everything back in order. You don't have to move a single thing if you don't want to. We offer comprehensive tree cleanup services that provide our clients a stress-free way to regain the use of their yards and their trees after a storm (or other natural disaster) has resulted in debris. This is true of any kind of tree, and any size of tree. We don't back down from the big jobs! If you have an especially large tree and are looking for help in maintaining or removing it, our arborists will be able to help. This is true even if the tree is in a particularly awkward spot. We have experience removing trees in both awkward and hazardous locations, and we do so safely and efficiently. On the other hand, we are also happy to take on the smaller cases. No matter the size of your job, we're ready and willing to take it on. Contact Tree Service Express, Inc., today to discuss your needs and to learn more about how our services can be of use!